When Sanjay, one of my friends was in a soup after the sale of his residential land whether he should pay any tax or not. He had taken a financial advisor’s help. Ultimately he bought a flat to save long term capital gain tax. He was not ready to buy another property as it is difficult to maintain and he faced a lot of difficulties with the land he had. I am sure there are so many of us who has faced this type of problem in our life. So this article will give you the answer to the basic questions like what is capital gain, its types and how to calculate the capital gain tax. Capital gain tax is a tax to be paid on the profit by selling capital assets like property, stocks, and bonds. Capital gain is the difference between higher selling price and lower purchase price. Based on the tenure there are two types of capital gain. If the assets are held for a period of less than 3 years or 36 months and sell, the capital gain generated by selling the asset is called short-term capital gain. If the assets are held for a period of more than 36 months and sell, the capital gain generated by selling is termed as long term capital gain. We will see what are the tax implications of capital gain from real estate i.e. plots, flats etc. and stocks, mutual funds. If you sell a house within two years of buying, the profit will be termed as short term capital gain. You have to pay income tax on this short-term capital gain according to your income tax slab. Suppose, you are in the 30% tax bracket which means 30% of your profit by selling the house is to be given as income tax. The tenure is reduced to two years in the FY 2017-18 which was earlier three years in the FY 2016-17. Also base year had been revised from 1981 to 2001. If you sell the property after two years of buying, the profit is termed as Long Term Capital gain. The income tax on Long-term capital gain is 20% after getting the benefit of indexation. Now, what is indexation? Indexation is introduced to calculate the return from a property considering inflation. Through indexation benefit, you can adjust the purchase price with inflation and lower the Long-term capital gain and tax. You can get the indexation benefit of repair and improvement expenses and stamp duties, registration charges also. Moreover, If you sell your residential property before five years and you have claimed the tax benefit for the principal amount that has to be added back to your income after selling the flat. In case, you sell the flat after five years, the same is not applicable. 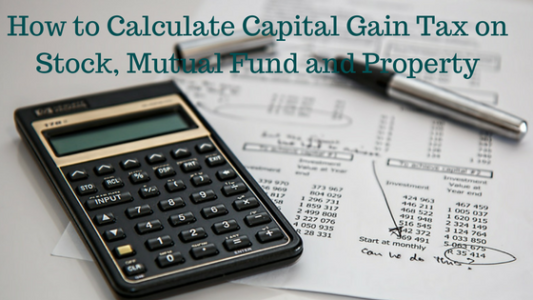 How to calculate Capital gain tax? Short Term Capital Gain is the difference between selling price and the summation of the purchase price, home improvement cost, registration cost. Long Term Capital Gain Tax is the difference between selling price and summation of the indexed price of purchase, home improvement, and registration. Suppose, Anil has bought a resale flat on 20th February 2010 at a price of Rs 30,00,000. He repaired the flat and did some alteration according to his need. The cost of repair was Rs 5,00,000. He sold the flat in 31st January 2012 at a price of Rs 45,00,000. Anil has held the property for less than 2 years and he has gained something by his sale proceedings, So, this is Short Term Capital gain. Now this Rs 10,00,000 will be added to your income and will be taxed according to the applicable tax slab of income tax. Now, consider if Anil would sell the flat on 31st October 2015 at a price of Rs, 65,00,000, the holding period is more than two years and it is called as Long Term capital gain. Here one question may come to the reader’s mind that whether actual sale value is to be considered when calculating the capital gain tax. Generally, the selling price is to be considered. But, if the sale happens by way of kinds or combination of cash and kinds, the consideration shall be fair market value of the property. Note: Indexed Cost = (Cost inflation index in the year of sale/ Cost inflation index in the year of purchase)x Actual price for purchase or improvement. For year wise Cost inflation index click here. This is the most difficult for a salaried individual to calculate the capital gain for calculating the income tax. Though there are multiple income tax calculators are available in the open source, we face a lot of difficulties while calculating the capital gains. Many individuals omit these taxes due to ignorance of how to do the calculations or proper information. 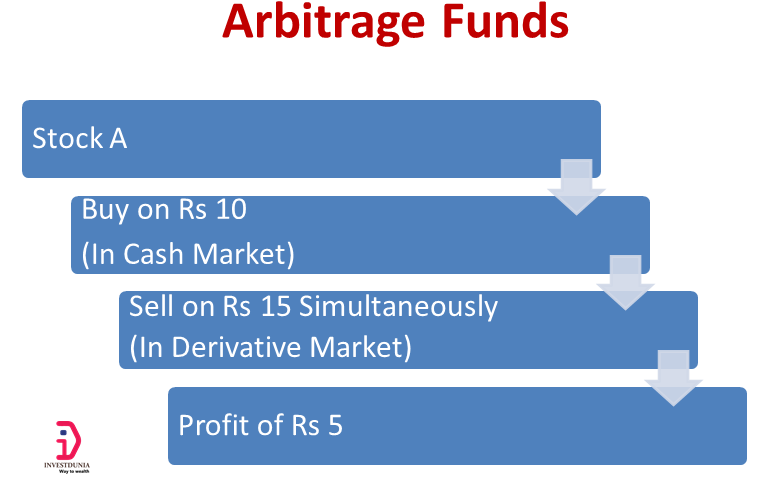 If you hold a stock for less than one year and sell, the profit is termed as short term capital gain and it is taxed at a flat rate of 15% of the profit. This is also applicable for equity mutual funds. If you remain invested for more than one year, it will be termed as long-term capital gain. Income tax was free due to Long-term capital gain from stocks and equity mutual funds. From Financial year 2018-19, there is 10% tax on long term capital gain over the gain of Rs 1 lakh in a year. The capital gain up to 31st January 2018 is grandfathered which means the capital gain up to 31st January is not considered for calculating capital gain. You can refer a detailed guide about Long term capital gain tax calculation and how you can reduce the LTCG tax burden. This calculation is very different for debt mutual funds. Both Short term and long term capital gains are taxed for debt mutual funds. Short term capital gain is taxed according to the individual’s tax slab i.e. as high as 30% if you are in the highest tax bracket. Long term capital gain is taxed at a rate of 20% with indexation benefit and 10% without considering indexation benefit. For debt mutual fund the short term is considered for less than 36 months and long term is considered for more than 36 months. Suppose, you have invested Rs 1,00,000 in a debt fund on 3rd September 2012 and sold it on 21st February 2016 at Rs 1,30,000. If, you don’t want to take indexation benefit, the Long term capital gain tax = 10% of Rs 30,000 = Rs 3000. From the above example, It is always advisable to take indexation benefit while calculating the Long term capital gain tax. If you like the article, share it with others through Facebook and Twitter.